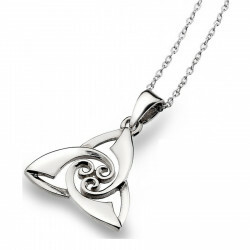 Beautiful triangular Celtic silver pendant with interlaced designs and triskel knot. The perfect gift for Celtic culture fans! Sold with silver chain. 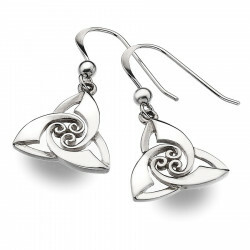 Delicate silver earrings with intricate knots and spirals. The interlaced designs form a triskell, the symbol of Celtic culture. This piece of jewellery may be worn for any occasion.